My Paw-Paw grew Jalapenos and these. 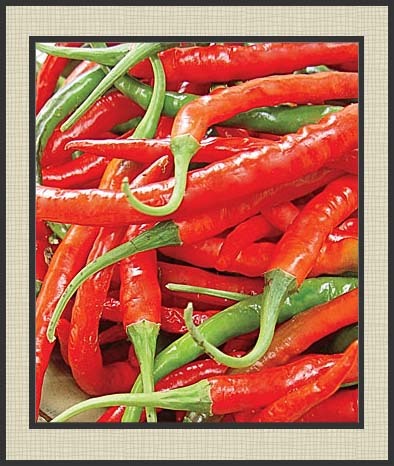 I can remember the strings of dry Cayenne hanging on the walls in my Maw-Maw’s kitchen…so beautiful! We grew these last year (2011), and I’d have to say they were the easiest to dry…string ‘em and hang ‘em, that’s all I did. The Serrano and Anaheim chili peppers got moldy and found their way into the trash…but the Cayenne are hanging in my kitchen even now. As a matter of fact my chiropractor recommended I make a tea of Cayenne pepper and lemon. I was delighted that I had my own organically grown pepper perfectly preserved hanging from a shelf in my kitchen. I really thought the tea would be hard to choke down, but you know…it was really kinda good…like, I’m thinking of making me a cup now. Very hot fruits average 5 inches long and ½ inch thick. Use fresh, or dry for winter use. Harvest starts about 75 days after plants are set out. CAUTION: Use rubber gloves, or clean hot peppers under running water, to avoid skin burn from the pepper juice. Did you know that it’s legal to grow and process your own tobacco for personal use? Well, it is! And growing tobacco is as easy as growing tomatoes, peppers, potatoes, and even petunias…they’re all from the same family – Solanaceae (Night Shade). 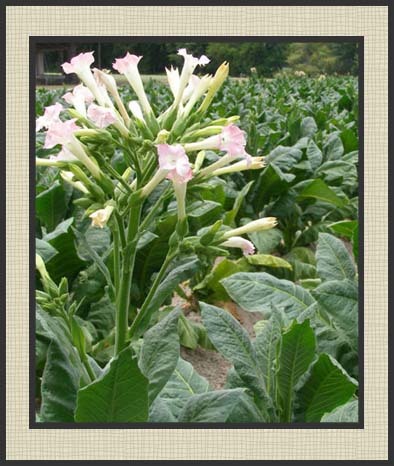 Tobacco is very similar to a petunia, only it grows much faster. If you can grow a petunia, you can grow this plant. In these tough economic times, most of us are looking for ways to save money. If you’re a smoker, you can drastically cut expenses by growing your own. If you’re not a smoker, tobacco can be grown as an ornamental. Virginia Gold Tobacco can grow up to 6 to 7 feet tall and makes a nice screen for privacy, or to hide unsightly areas. Also, the beautiful pink trumpet blooms are a favorite of humming birds. Another cool thing you can do with the plant is pick off leaves, dry them and steep them in water overnight for a natural, non-selective contact insecticide. I found some answered FAQs about homegrown tobacco here. Larry has lots of GREAT videos on his YouTube channel for growing, harvesting, and curing your own tobacco. Like: How To Germinate And Start Tobacco Seeds!, Planting and growing your own Organic Tobacco!,and Harvesting, Hanging, and Curing you own Organic Tobacco!. Tomatillo was a new experience for me as of 2011. I did not know much about growing this plant, but was glad I got two, because two are required to make fruit…as, unlike tomatoes and peppers, the tomatillo cannot successfully self-pollinate. 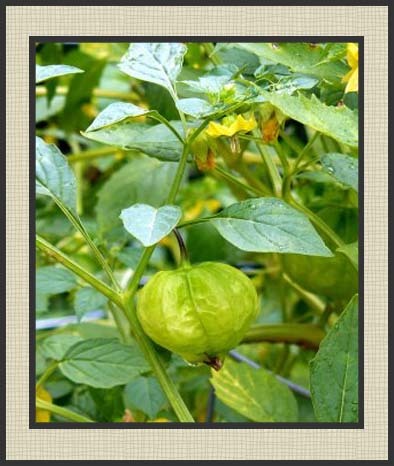 It doesn’t need another tomatillo, any groundcherry will do the job. If the plants are left to sprawl on the ground they may only get 3 feet tall, but I recommend caging them in a corner of the yard. These are warm season plants and while they will produce an abundance of blooms, none will set fruit until after…I want to say, mid-July in Central Minnesota…after it gets really hot and stays really warm throughout the night. That’s okay though. These giants produce way more fruit than anyone could ever put up. If you want to get a free, no work taste of the flavor of this fruit, try the Verde Salsa from Taco Bell. 1. Remove papery husks from tomatillos and rinse well. 2. Cook the tomatillos. You can either roast them in the oven, or boil them. Roasting will deliver more flavor, but boiling is the most common cooking method. a. To roast, cut in half and place cut side down on a foil-lined baking sheet. Place under a broiler for about 5-7 minutes to lightly blacken the skin. b. To boil, place tomatillos in a saucepan, cover with water. Bring to a boil and simmer for 5 minutes. Remove tomatillos with a slotted spoon. 3. Place ingredients in a food processor (or blender) and pulse until all ingredients are finely chopped and mixed. Season to taste with salt. Cool in refrigerator. Serve as a tortilla dip or sauce for Tex-Mex dishes…Yum! I will post a tested canning recipe later…which does not use vinegar, and is much better than the recipe in the Ball Blue Book because of that. 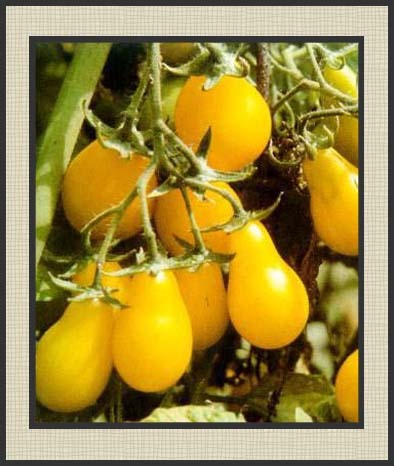 The Yellow Pear tomato yields an enormous number of yellow pear shaped bite-sized fruits. This extremely old variety makes a vigorous plant, that gets tall quickly. The flavor is mild and sweet. Perfect for summer party hors d’oeuvres. 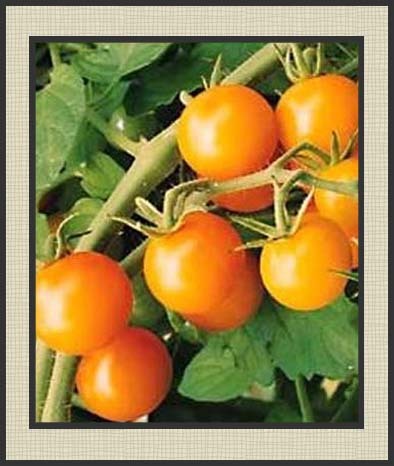 These do have a tendency to split, so be sure to pick them just before they are completely ripe. 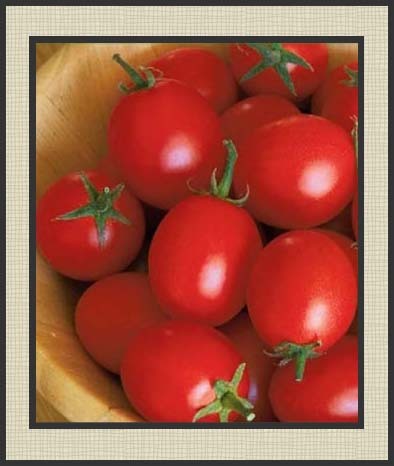 The Super Beefsteak is a prolific, vigorous cultivar that produces delicious meaty red fruits averaging 13 ounces. 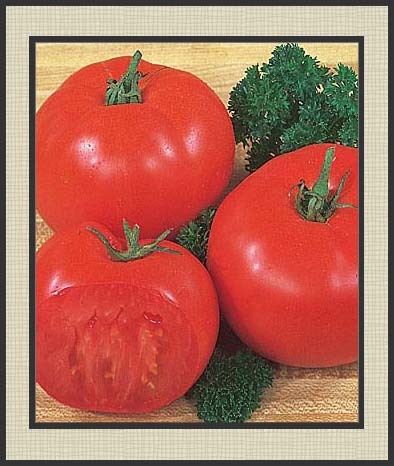 This is a flavorful, late season tomato. We grew these last year (2011). This is a beautiful, juicy tomato. 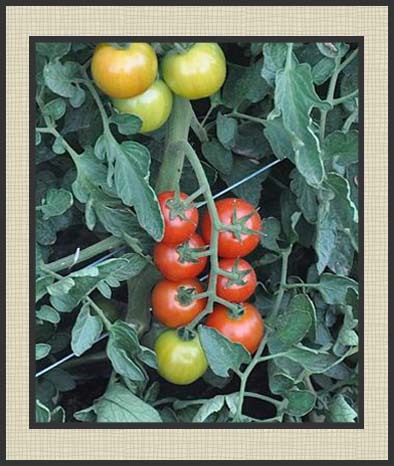 This early season tomato’s fruit ripens in approximately 49 days after transplant. By the Fourth of July this plant will be loaded with vine-ripened red, tasty 4 ounce tomatoes, and they will continue to produce until frost kills them. This cultivar would do well in a large container. We grew these last year, and I was quite impressed. The plant was loaded with beautiful red tennis ball sized fruit early. These plants grew to be about three feet tall and bushy. The Balcony Hybrid is a heavy producer of beautiful, juicy, disease resistant fruit. 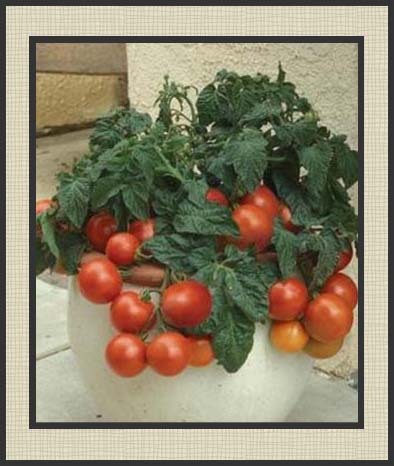 These can be grown in containers, provided the container is large (at least 3 gal.). Said to be Verticillium, Fusarium, Alternaria and Stem Canker Resistant variety. Very heat tolerant. This will be the first year that I’ll be growing this tomato. The fruit is described as juicy and sweet. It is said to be great for snacks & salads.